How precious a resource is water? The global water crisis will be the central issue facing our world this century--and it isn't simply because California finds itself in a drought. 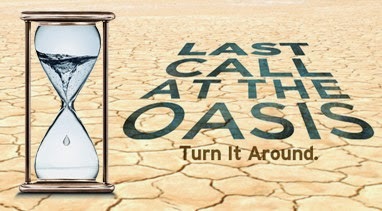 Last Call at the Oasis is a powerful documentary that firmly establishes the global water crisis as the central issue facing our world this century and posits that we can manage this problem if we act now. Featuring activist Erin Brockovich, respected water experts including Peter Gleick, Jay Famiglietti, and Robert Glennon, and social entrepreneurs championing revolutionary solutions, the film shatters myths behind our most precious resource.